GCON has the proven experience to build your unique home using the highest quality products in the industry; while keeping keen attention on your specific budget. 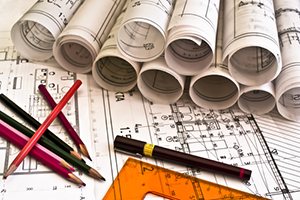 Whether it’s an initial sketch, assistance with site selection, budget verification, or design assistance, GCON will provide you with a premier quality of service. At GCON Custom Homes, our Professional Building Team strives to make the luxury home design and construction process collaborative, fun and exciting! Our company’s foundation is built from the strong expertise and experience of our staff, with nearly five decades of collective homebuilding experience. GCON Custom Homes utilizes a multi-tiered project delivery system to consistently manage projects of varying complexity, size and budget; we have developed a step-by-step process that details everything from our first meeting with you through the time you receive the keys to your new GCON custom home and beyond. Our pride and dedication simply lies in the successful completion of projects through sound technical execution, solid management and strong professional relationships. We believe our customers deserve a home that reflects their own unique lifestyle and they should be an integral part in the planning and design process. Each member of the GCON team is a professional in the homebuilding industry and will conduct themselves as such throughout the duration of the homebuilding process spanning all the project stakeholders and team members. Should you choose design/build option, GCON has partnered with some of the most reputable architects in the region and will help you in your procurement and negotiation of their services. The Valley's Finest Custom Home Builder. Proudly building custom homes in the Valley of the Sun for more than a decade. Bringing the majestical desert to your own backyard. GCON will work with you to find just the right place to ensure your both your interior and exterior vision can be achieved. Wake up to breathtaking views everyday. We collaborate with you and the Designer to ensure the placement and layout of your custom home embraces the surrounding views of your home. Creating a timeless backyard retreat for all your interests. Optimizing your backyard space is essential in creating the perfect area for your enjoyment and relaxation. Providing the highest quality materials and workmanship throughout your home. From the most noticeable components to the smallest of details, our commitment to perfection always shows. Integrating your hobbies and interests directly into your new home. No matter what your interests are, GCON will work with you and the Designer to bring your hobby room to life. GCON can handle your entire project from start to finish including site selection, planning, design, permitting, interiors, budgeting, and construction. Building a custom home requires combined efforts of many highly skilled tradesman, working together to create a beautiful and skillfully crafted home. Homes will evolve and grow over time for a number of reasons including changes in family needs, personal tastes and technology. 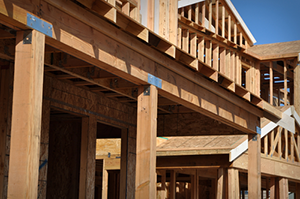 Are you ready to build a custom home? The first step is to identify desired locations and communities then evaluate specific home sites within that particular area of interest. GCON can help you find that exclusive lot location! If one of our preferred Communities does not fit your needs, we will help find a custom home site that is right. At GCON Custom Homes, we offer up-front site selection and cost estimating services with no obligation to help you select the best lot for your family’s dream home. Second and perhaps just as important is assembling your project team. We firmly believe that involving your building team early in the process will help achieve optimum results in the construction phase of your home, as well as save you time and money. Before choosing a lot, particular plan or style for your home, we recommend building a solid team of individuals that will work well together and with your ultimate goals in mind. That team consists of your builder, architect and interior designer. What are some of the benefits of using GCON Design-Build Services for your custom home experience? Accountability & Quality Control Because we manage your entire project, you have a single point of contact accountable to you. Proven, Established Processes GCON delivers well-planned projects using our proven and streamlined internal processes for addressing customer desired changes, which enable efficient change order review and firm cost control. Speed, Efficiency, and Cost Control By working together, we are able to create more detailed and accurate budgets and construction plans. This means we save you time, money, and stress. We provide progress cost reporting and help manage cost options throughout the process. Green Building Technology GCON Custom Homes specializes in high-performance and sustainable building practices. Technology and building science is rapidly changing as leaders in this field, we stay on the cutting edge of sustainable building practices to bring you the best material products, practices and suppliers. Look through the photo gallery of our most recently completed custom homes. Contact GCON Custom Homes for More Information.